Body language expert and high energy speaker, Patti Wood, is interviewed on; The Today Show, CNN, PBS, FOX News, Good Morning America, The Talk, The History Channel, Dr. Drew, Nancy Grace, Steve Harvey, and by publications such as; The Wall Street Journal, Forbes, Business Week, USA Today, The Huffington Post, People, Oprah, Esquire, Psychology Today, The Week, Fortune, Sports Illustrated, Life & Style, US Weekly, and more. Patti Wood holds a BA and MA in Body Language and Nonverbal Communication. Her programs on body language, presentation skills, sales, and media interviewing, get people up out of their chairs interacting and laughing. 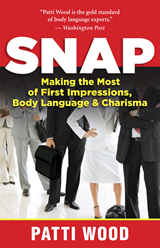 She is also the author of seven books on communication including,"SNAP - Making the Most of First Impressions, Body Language, and Charisma." If you are looking for a smart, savvy body language expert and an experienced speaker for a keynote speech or onsite training call us today at 404-315-7397 or email us at patti@Pattiwood.net or Click here to book Patti Now! "The Secrets of Body Language"
She is one of the leading experts in Nonverbal Communication in the world who were interviewed about how to read body language and paralanguage (voice.) Be sure to catch the next airing of the History Channel body language special. "The signals are loud and clear when it comes to delivering body talk. Patti Wood is the consummate communicator - mastering the verbal and non-verbal..."
Check Patti's blog for more insights on the Presidential Candidates! Tune into this special call! Whether you are an entrepreneurs, solopreneurs, small business owners, sales professionals, corporate executives, student or consumer! You must have these key tips discussed in Patti's ongoing teleseries! Grab your spot to learn how to use body language for YOU! 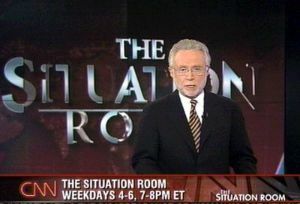 Patti Wood was credited in the New York Times with bringing "body language to the national consciousness" and dubbed by the media and law enforcement as the "Body Language Lady"and the "Deception Detective." As a Keynote Speaker, Trainer & Coach Patti uses her humor, 25 years of nonverbal communication and awesome business savvy to wow your audiences of 500 or 5000! Connect with Patti on LinkedIn!